If you are receiving this, then you are a valued member of the Evergreen community or a member of our support network! Built in 1924, for over 90 years this building rooted deep in history and importance to our area, has survived and thrived as a performance and theatre hub. 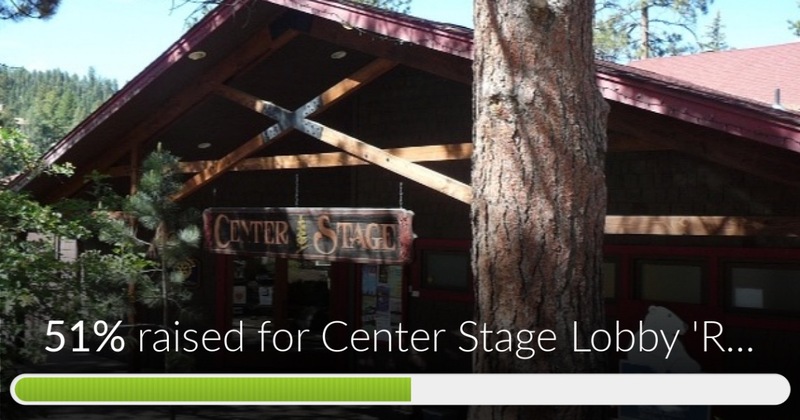 Now, over 13,000 people visit Center Stage each year. We want to continue to build this beautiful legacy. Any amount that you can give will help the cause! *With a donation of $100, you can opt-in to having a copper moscow mule mug engraved with your preferred donor name and year. 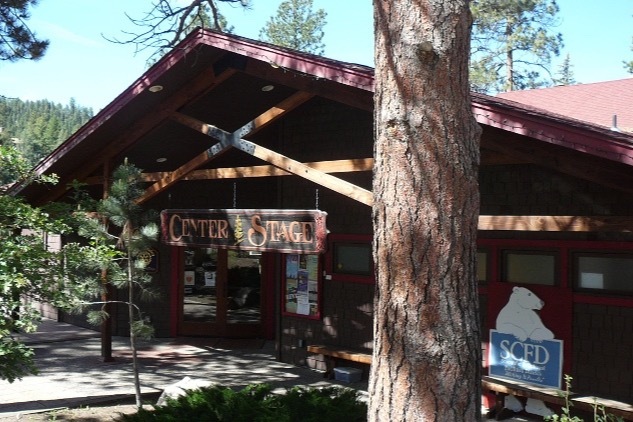 *With a donation of $250, you will have the unique opportunity to burn your name and donation year into wooden beams that will be added within the space. You will be able to personalize a small piece of this historic space for all time! *With a donation of $500, you will not only get to personalize wooden beams in this unique space but you will also be invited to a gathering within the new space where hor d'oeuvres and cocktails will be served. 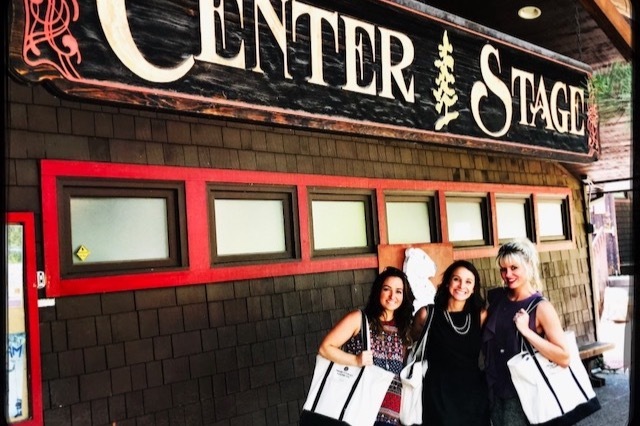 Your photo will be posted on the theatre's website as well as other social media sites related to Center Stage, honoring your generous donation. *With a donation of $1000 or more, you will receive the above item privileges as well as attend a special performance event. One you won't want to miss! We cannot preserve and honor Evergreen's history without injecting love and care into it as well. 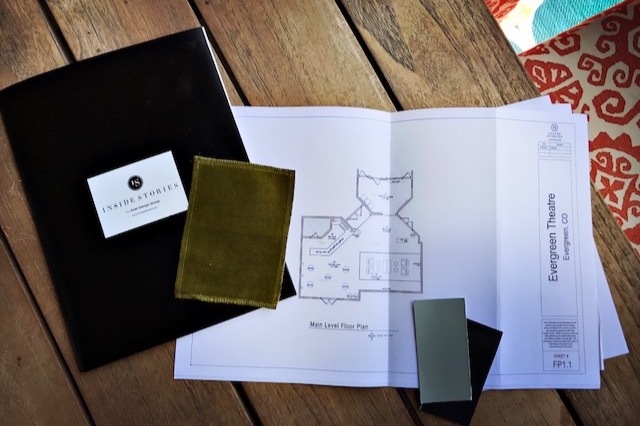 Last week we met with the incredible design company, Inside Stories by Duet Design Group, who have donated their work FREE of charge so that every penny you donate goes to the project and the interior of the space! We are so grateful for them and were blown away by their creative design, color palate, and love for the space that is so near and dear to us as well. We have about $9,000 left to raise on this project! E-mail me at tracy2179@hotmail.com if you have an idea of a big donor that may be interested in helping make a dip in this last half of our fundraising effort. Thanks for your support and we will continue to update as we move forward! This is our Design Team! They work for a company called Inside Stories by Duet Design Group and they are a phenomenally talented interior design team. We are beyond lucky that they are willing to donate their services to us for FREE! Thanks for being part of this amazing 'retro'vation! We have almost hit the $15,000 mark in our campaign! Wanted to let you know we have had our first meeting with Duet Design Group (an interior design company based in Denver). They have a feel for the space, what we are wanting to do with it, and can see the enormous potential! Next step is the design portion. They are going to be giving us the materials, color stains, exact items that would work in the space, etc......they will not be doing the implementation piece. This is a huge donation on their part and would cost thousands of our dollars to actually hire this process out-----we are so grateful! We are trying to have every penny you have donated go to the materials that will be placed in the space. On that note, if you know anyone who would be willing to donate any labor/skills (i.e. person to install floor, paint, carpenter, etc.) ---please e-mail me! 51% of the way to our goal! This is a major milestone, making it over the halfway point. In fact, we have what we need to install new flooring, which is one of the biggest projects in the space. Feel free to share on your FB or Twitter or Instagram (if you haven't yet)---because that is how the word spreads. I have been overwhelmed by the support from all over....Kentucky, California, New York, Texas, Idaho, Florida, Connecticut, Indiana, and Georgia, just to name a few!